The general name hornet is frequently misused for just about any species of large, ferocious looking and stinging insect. To most people hornet is used to designate both the bald faced hornet and the european hornet, even though the european hornet is a true hornet and the bald faced hornet is actually in the same insect group as yellowjackets. There are approximately twenty different species of true, known hornets worldwide, but only one of them lives in the United States: vespa crabo, otherwise known as the European hornet. As its common name suggests, the european hornet is an introduced species to the U.S. from Europe. When it comes to their appearance, it ranges between 1 and 1.5 inches in length with two pairs of wings and three pairs of legs. Their coloring is reddish brown for the most part, with darker brown shades in between the head, thorax, abdominal, and legs. Their nests are distinctive, made from paper-like material that they create by mixing their saliva with fibers that workers gather for the queen. Their colonies can lead to the development of hundreds of new eggs per season and each individual egg then goes through the process of becoming adults over a short amount of time. When a hornet feels threatened, it releases an attack pheromone that will draw other hornets nearby to mobilize a defensive attack. This can also happen if a hornet is cleaned near it’s nest. Just like wasps, they have smooth stingers which make them capable of making multiple painful stings without any harm coming to themselves. Also like wasps, they aren’t inherently aggressive unless they feel that their nest is threatened, but due to both the attack pheromone and their especially defensive nature, it means that you need to take their potential threat seriously, especially if you’re allergic and susceptible to anaphylaxis. Why do I have hornets? If you notice a single hornet buzzing around any part of your home, it’s likely that you have a characteristic paper-mache looking nest nearby. The main thing that draws their kind to your home or business is access to readily available sweets like berries, fallen fruits, or the residue that can build up inside of improperly cleaned recycling or garbage bins. How can I prevent hornets? Just like with many other pest infestations, you need to consider a few things to prevent hornets from making their nests on your property or in your home or business. Remove anything they might be attracted to, such as poorly sealed garbage cans or overburdened fruit trees. You can also make sure to keep any potential entry points closed off by paying special attention to your homes exterior and foundation. 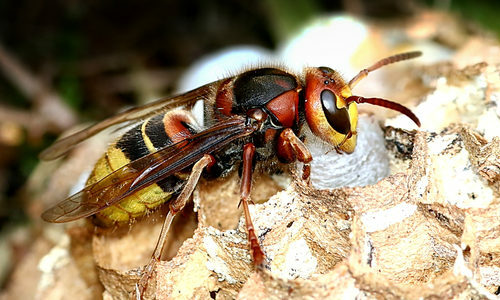 Lastly, you can attempt to ward off potential wasp infestation by utilizing decorative hornet decoys because they are territorial creatures – if they see a decoy near their home they’ll be disinclined to build their own nest within two hundred feet. How can Gregory Pest remove hornets from my home or business? 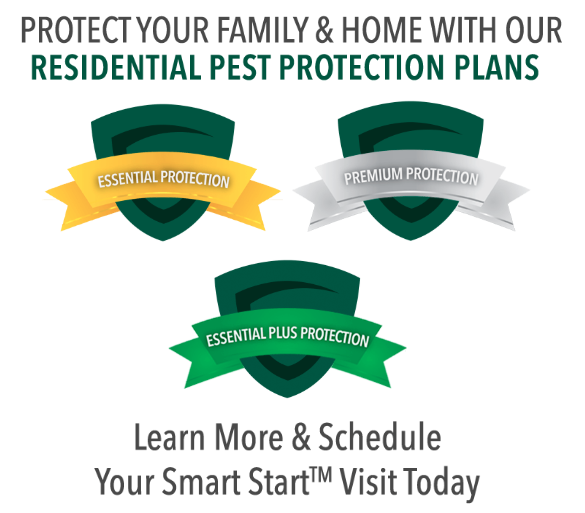 An expert exterminator from Gregory Pest Solutions will be your full-service pest solutions provider specializing in the effective, humane removal and prevention of hornets and their nests from your home or business. When you hire us to evaluate how extensive your home’s pest problem is, one of our pros will be sent to assess the hornet situation and then formulate an environmentally friendly plan for removal and prevention. Once we implement our plan, our experts will clean the area and seal any openings that are prime for future nests so you and your family can enjoy a lasting insect-free environment.